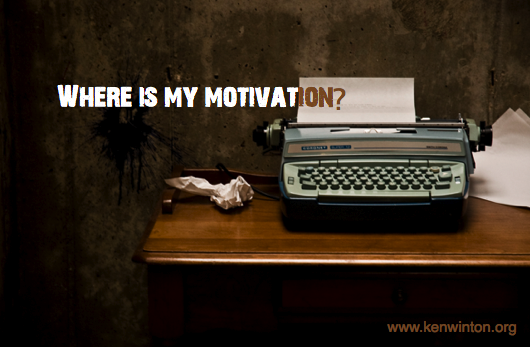 #1 Remember the reason you’re writing in the first place: A feeling of accomplishment? Communicate to people? Personal gain? One small step closer to your bigger passion? #2 Have fun: Ask yourself, “What can I do to make the writing I am doing more enjoyable?” Try being even more creative with “vlogs”. These are short videos based on each of your “blog” writings. You can use an iPhone, Android or, of course a video camera. #3 Re-Focus: I am a big believer in “not reinventing the wheel”. If you are frustrated with the approach you have been taking, try a new and fresh approach to your writings. Read other blogs, articles, books, etc. ; you can be inspired, and become re-focused at the same time. #4 Step-by-step: In order to not become overwhelmed by the larger task at hand, split tasks into smaller goals and celebrate each goal once you reach it. For example, if your goal is to write an entire novel, set a goal of writing one chapter at a time, or just writing for one hour at a time, and celebrate when you’ve done it. My wife is in the process of pulling together an eight-hour teaching, so she celebrates herself after each hour she finishes. She has become more motivated and inspired by breaking it up. #5 Celebration: Once you’ve reached a goal, make sure you take time to reward yourself. I am big on celebrating. I write in my office or sometimes at my favorite local java house. When I arrive at the java house, I start writing for one hour, then I get myself something to drink, like a hot and tasty cappuccino. It’s valuable to recognize progress; you will enjoy the journey so much more! What steps help you in your writing? I (we) would love to hear your thoughts on what inspires you to write more. So, you’re almost finished writing your book and you start to consider your promotional strategy for getting your book and/or blog out to the masses. Part of your effort may involve Twitter, Facebook, Pinterest, Google+, Tumblr, Instagram, StumbleUpon, LinkedIn, Klout and many others. Take a big deep breath. I know you’re excited, but I also know you want to avoid frustration. I am speaking now from personal experience. If you try to tackle everything at once you’re going to experience frustration and possible failure. Slow it down! Remember, Rome wasn’t built in a day and neither is your social media campaign. As Jonathan Gunson says in his article “The Social Media ‘Train Wreck’ That All Authors Must Avoid…“, you’re headed for a “train wreck”. Your fledgling author career can rapidly jump off the rails if you attempt to accelerate book sales by trying to be visible everywhere. You will not develop a campaign based on quality because all of your emphasis is based on quantity. Using the full range of social media channels, without any prior experience, can possibly hurt your campaign. Gunson strongly suggest you focus on mastering a few social media channels. The key is to become an expert on one or two social media channels such as Facebook and/or Twitter. On each of these social media channels create great content, posts, photos and stay current with ongoing updates. As Gunson says, limit your social media promotion to less than 30% of the total time. The rest of your time should be devoted to developing your craft as a writer. 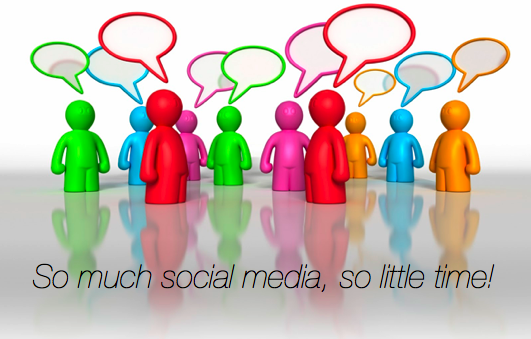 There are so many social media sites and there is so little time. When I first began I only concentrated on Twitter and Facebook. It is only recently; we (myself and my personal assistant) have advanced into other social media channels such as Pinterest, Google+, Tumbler, Linked In and StumbleUpon. I would recommend my friend and personal assistant Candy McCracken to help you with your social media. She has become quite the expert and can assist you in multiple ways. How do you promote your writing using social media? How much time are you spending on it each day? What works best for you? The following is a conversation I had with someone at a local coffeehouse. “There are simply no good churches in our city!” Mary stated with vigor. “Have you been to every church in our city?” I asked. “Well, no but every church we have visited has been dead, rude or full of themselves,” she clamored. “The worship didn’t pull me into God, the preaching was boring and no one greeted us nor spent any time with us after the sermon.” she added. I just stared at her as she continued to announce her dissatisfaction with the local churches. What I was experiencing was “Christian Consumerism”. What is Christina Consumerism? Christian consumerism occurs when we approach Christianity as consumers rather than seeing it as a way of life, rather than seeking God and God alone. In other words, what do I get from this local church or ministry? Christianity becomes just one more brand we consume along with Gap, Apple, and Starbucks to express identity. Don’t misunderstand me, the problem is not Gap, Apple and Starbucks, they are fine products. Approaching Christianity as a brand (rather than a worldview) explains why the majority of people who identify themselves as born-again Christians live no differently than other Americans. Make no mistake about it, we were created to consume. 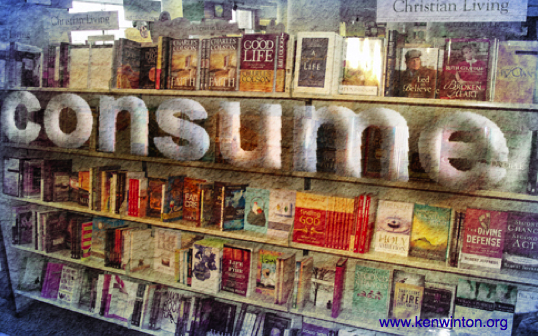 The issue is what do we consume? I think David pointed us to our One true “interest”. Since you were created to consume, then it only makes sense you should consume the One who satisfies. Jesus is not just the One who satisfies the best, He is the only One who satisfies. I don’t know about you, but this makes me live lighter today! 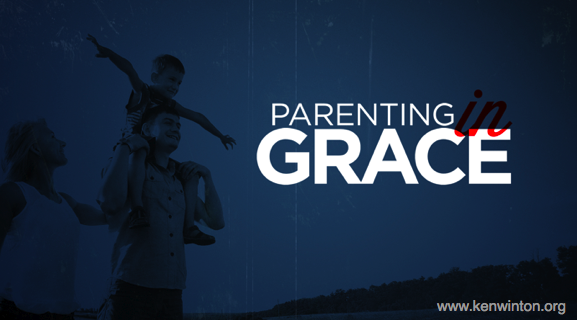 If grace is also truth, then grace is a great and powerful model for parenting. The word “grace” actually means unmerited favor from God, meaning, we don’t get what we deserve but we get the kingdom of God. This is a virtue from God, meaning we are approved by God, He wants you. He wanted you so much, He gave His Son to get you back in His arms. What does this definition have to do with parenting? I was teaching on the The Cycles from my book Remember Who You Are at a conference in New Zealand in April 2013 and near the end of the conference a women named Dawn came up to me and asked a great question preceded by a statement. Here was her statement and question. I said, “I can tell you care about her and love her”. “Oh I do, I really do! I don’t want her to suffer the same shame I have suffered growing up and even in adulthood,” she exclaimed. “OK, I am listening,” she sheepishly responded. I could tell by the look on her face, something was triggered! Grace is as simple as “Maddy, I love you, you make me proud, Mom.” Grace is not difficult for us as parents and is certainly not difficult for God. Sometimes we forget who we are and we attempt to change people, when in fact we are incapable of changing anyone. God is the changer of lives and God will change little Maddy, as she knows He loves her unconditionally and her Mom loves just the same. What is God saying to you concerning His “grace” and your “grace” to others? 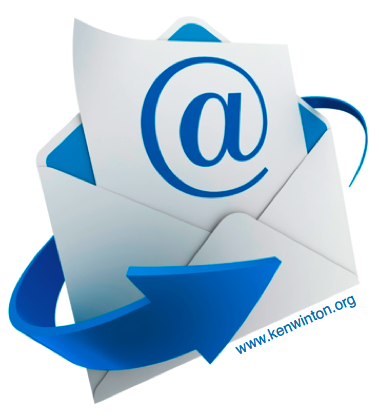 This blog is from Mike Glenn. I have enjoyed his blogs and I am sure you will, too. The other word is kairos. It means “right moment”. It’s like the right moment to pick a piece of fruit or the right moment to tell the punch line of a joke. 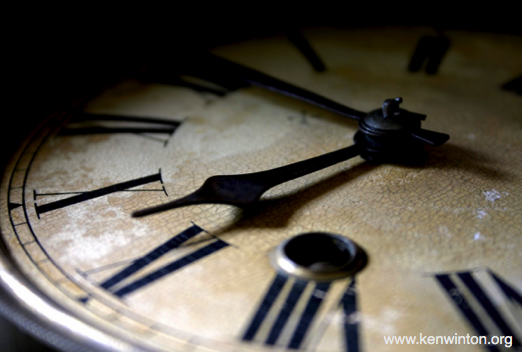 While there may not be an exact time (chronos), there’s certainly a right moment (kairos). And God deals with right moments. You see it all the time in the Bible. “In the fullness of time,” God acted. When everything was just right, God moved. The problem most of us have is that we’re driven by chronological time. That means we expect things to be done by a certain time. What’s worse is if something doesn’t happen by a particular time, then we assume it’s not going to happen at all. When we decide this, we end up either giving up too early or trying to force something to happen before it’s ready. Both choices lead to disaster. God doesn’t work in chronological time. He works in kairos time. That means we need to be looking for signals around us about what time it is. How are things unfolding around us? What doors are opening and closing? What light is now available to you that wasn’t available before? Kairos is a word of seasons—and seasons have their own time. Learn to read the seasons. Learn to know what time it is. How sad would it be if we missed what God was doing because we were looking at our watch? One Wrong Slip and You Are Sunk! The law by the design of God has complete and unadulterated authority over us. The truth of the matter is, you better live up to every detail of the law, because the law is holy, and the commandment is holy, righteous and good (see Romans 7:12). Hold on a moment, while there is truth stated in Romans 7:1 “the law has authority over someone”, there is additional and even deeper truth stated. Romans 7:1 also tells us “only as long as that person lives”. The law was never given to us so we could bear fruit. God’s task is not to fulfill the law within believers. God gave us the law so it would break us and even bring about our death at the cross of His Son. The law will condemn you if you try to fulfill it. Yet, when we remember we have died with Him to the Law, it can no longer condemn us (see Romans 8:1). Live in His performance (which was and is perfect) and you will “live lighter today”. Tell me, why do you think God gave us the law? In California, we are blessed to have Bald Eagles soaring above the earth. They have a rare combination of elegance and power. Eagles are so effortless in their pursuit of altitudes of 10,000 feet or more; truly they are things of beauty. I have observed eagles soaring far more than having observed them flapping their wings. 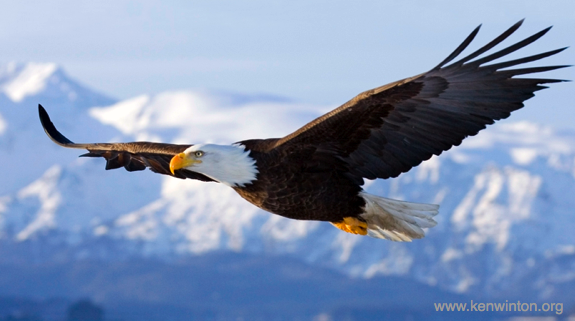 To help them soar eagles use rising currents of warm air called “thermals” and up-drafts generated by terrain such as valley edges or mountain slopes. Soaring conserves their energy. Roadblocks don’t magically disappear the moment we become followers of Christ. Roadblocks can make you tired from climbing over them or they can bring you to a complete stand still. But something supernatural does occur the moment we become born-again. We now have the ability to soar. God did not create you to be slowed down or stopped by roadblocks. God created you (designed you) to soar over roadblocks. Scripture clearly tells us something about soaring. Note the only prerequisite to soaring? Trusting in the Lord. The word trust implies taking a risk. You will never soar unless you leave the nest. You can live lighter today by soaring, so leave the nest and risk something. 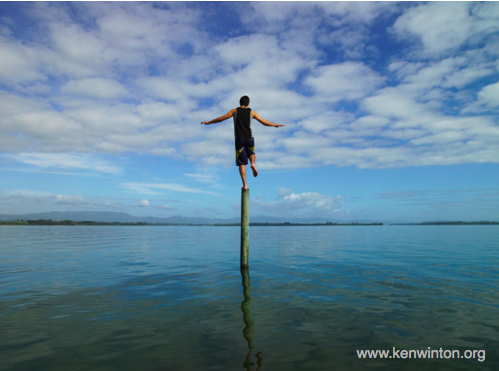 No roadblocks can stop you or even slow you down, so soar my friend! What have you trusted (risked) the Lord for and what were the results? I believe this verse. I believe it because I have experienced the results. Now before we go any further, allow me to explain something. You may be thinking, I have experienced the desires of my heart, and you would be correct. But, in actuality the greatest desire of my heart is to delight in Him. Every time you delight yourself in Him, He will give you the desires of your heart. May I suggest with a hefty appetite for God, He will soon become the desire of your heart? Oh, to live lighter everyday with Him is my desire, how about you? Experiment with delighting in God and let me know your experience! This one has been traveling around the World Wide Web, I thought I would keep it going! A Minneapolis couple decided to travel to Florida to thaw out during a particularly icy winter. They planned to stay at the same hotel where they spent their honeymoon 20 years earlier. Because of hectic schedules, it was difficult to coordinate their travel schedules. So the husband left Minnesota and flew to Florida on Thursday, with his wife flying down the following day. The husband checked into the hotel. There was a computer in his room. He decided to send an email to his wife. However, he accidentally left out one letter in her email address. And without realizing his error, he sent the email. Meanwhile, somewhere in Houston, a widow had just returned home from her husband’s funeral. He was a minister who was called home to glory following a heart attack. The widow decided to check her email expecting messages from family and friends. I know you’re surprised to hear from me. They have computers here now and you are allowed to send emails to your loved ones. I’ve just arrived and have been checked in. I’ve seen that everything has been prepared for your arrival tomorrow. Looking forward to seeing you then! P.S. By the way, it sure is hot down here! 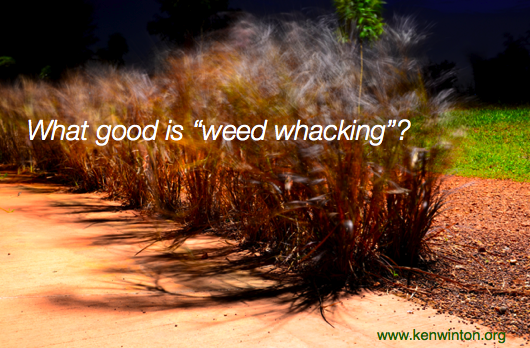 What Good Is “Weed Whacking”? When my family and I first moved to Redding, California we purchased a house on 2 acres of land on Palo Verde Lane. Our kids were quite young when we moved to this property and after multiple years of growing and playing on the two acres their greatest memories were established there. The back half of the property was a fenced area designed for a horse. So like any good Dad would do, I bought a horse for our kids. I was excited for the kids and I was equally excited and anticipated the horse would chew down the tall weeds in the fenced in area. What I didn’t know was the horse was old and very lazy. This horse not only did not eat the weeds, I had to supply the horse with daily helpings of hay, which became quite expensive. So of course, I had to begin the process of whacking down the weeds, so I bought a weed whacker. It was then I fully understood the tedious task of “weed whacking”. I discovered a few things. #1 messy with weeds and pollen flying everywhere. #2 a lot of work because the string on my new weed whacker kept breaking. #3 expensive, because my weed whacker kept breaking down and I kept running out of gas. #4 sweaty work because the weeds only grow in the heat of the summer. #5 really frustrating. While it looked nice when I completed the ordeal of weed whacking, within days it was back to looking ugly. #1 When we “weed whack” our lives, it’s a lot of sweaty work, it can be expensive, it can be real messy and very frustrating to look good on the outside. The saddest part is, the weeds always grow back. #2 “Weed Whacking” makes you real tired. #3 We no longer have to perform, because God’s performance is enough. God will “pull” the weeds out and refill the hole with His love. #4 We don’t have to shine on the outside any more, because Jesus said you are the light of the world (see Matthew 5:14). The difference is, you use to think you had to shine on the outside verses now, you shine on the inside because of Jesus. #5 But here is the amazing part. As you remember who you are to God and you shine as the light of the world, you will begin to shine on the outside just like you are on the inside. This is called, living lighter today! What areas of your life do you need God to pull the weeds versus you weed whacking them? Share with me the journey; I would love to hear from you.